Nothing on the horizon for the moment. Maybe you can change that and book us for a show? 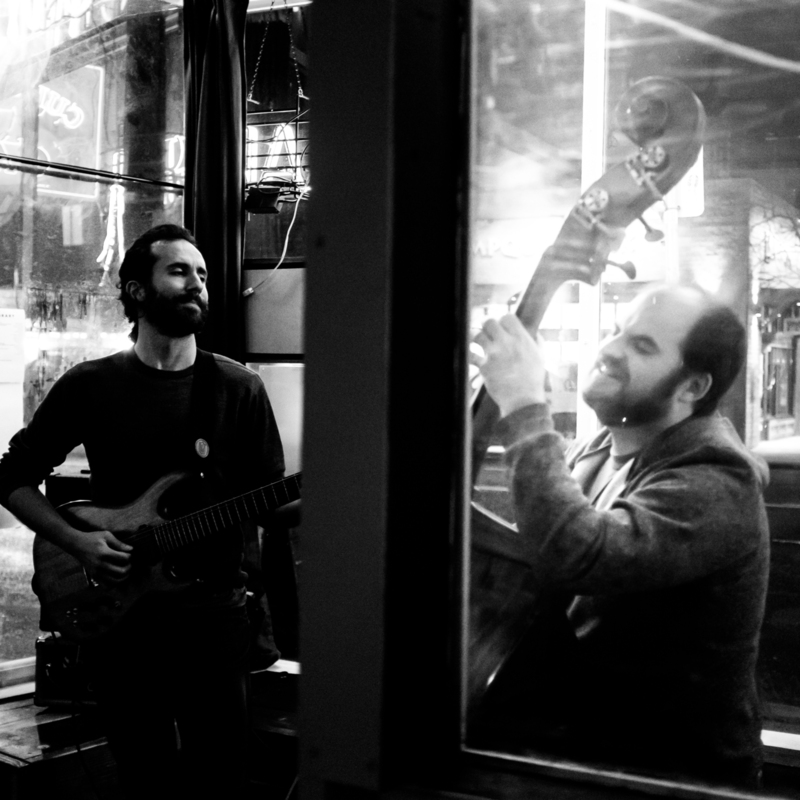 Inky Shadows is a duo that plays make-believe jazz, acoustic noir, electric blanc and other made-up genres to describe original instrumental music. Their sets are a joyful mix of longer, meditative pieces, tightly-arranged short form compositions and the occasional avant-garde flourish when appropriate. A subtle nod to the Manouche tradition. Think Django's lesser-known cousin; that the gypsy-jazz drop-out that later became a beatnik. Appropriate wherever ears are present. Featuring George Mandis on guitar and Chris Frank on bass. Listen to our songs and purchase our albums on BandCamp. Our newest album! Exploring the electric side of Inky Shadows. Recorded in May/June and released in July of 2015. Booking: If you would like to book Inky Shadows for your venue or event please contact us at [email protected]. Mailing List: If you would like to hear about upcoming shows and events please sign-up for our newsletter. We send only occasionally to announce new upcoming shows, new releases or other things Inky-related. Social Media: You can find, follow and friend us on Facebook, Twitter, YouTube & Bandcamp.